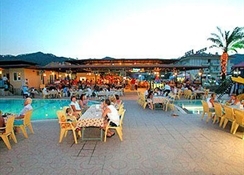 This is a lively complex, in the up and coming Armutalan area of Marmaris, 100 metres from the nearest local shops and restaurants and 300 metres from the nearest bar. 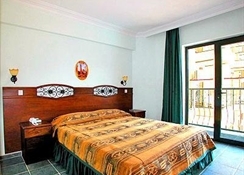 The resort centre and its attractions are approximately 2 miles away. Marmaris was originally a fishing port and has now become the most European of all the Turkish resorts. 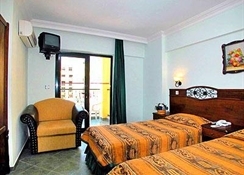 The hotel is 1.5 miles from Marmaris beach and the beachfront nightlife. 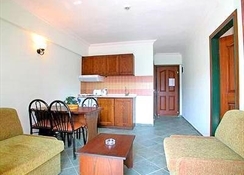 There is a bus stop close to the property with regular bus services to Marmaris and Icmeler. 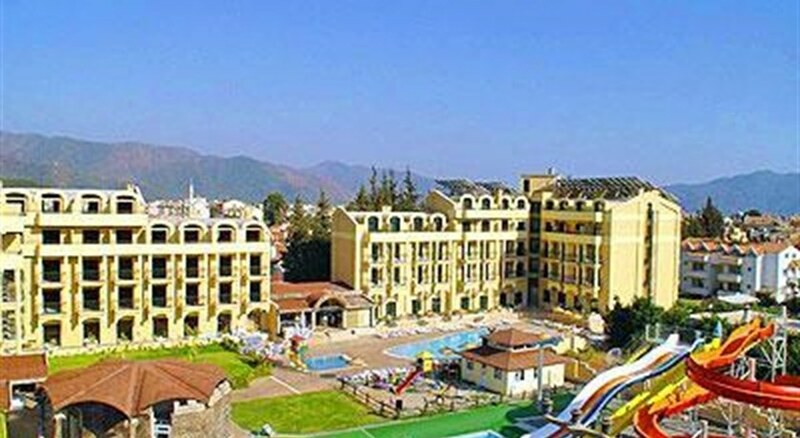 The town is in a pretty bay surrounded by mountains and has a sand and shingle beach that stretches to Icmeler.The hotel has 2 swimming pools, a children`s pool and 4 waterslides. The complex has 2 restaurants, 2 bars and a snack bar. One of the restaurants offers an a la carte option. 1 bedroom apartments sleep 2 - 4 people All have bathroom/shower WC TV telephone hairdryer kitchenette fridge balcony/terrace * (certain amenities may be payable locally)**All activities depend on weather conditions and the hotels may change programms and opening hours without any notice.